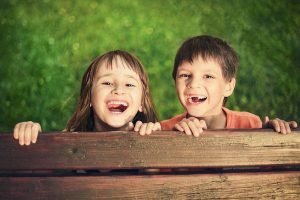 We’ve all lost teeth while growing up (remember when the Tooth Fairy used to replace ‘lost’ teeth with money?). But these losses were a normal part of our permanent teeth coming in. Losing a tooth in an accident, on the other hand, is a traumatic event, and one that needs to be prepared for. The reaction and first aid vary, partly depending on the age of the person who has lost a tooth. If the victim is older than 5 – 6 years, the knocked out (“avulsed” in technical terms) tooth is most likely a permanent (adult) one. Adult teeth can frequently be saved if prompt first aid is performed and the tooth is appropriately handled. n this case, treatment is not always necessary, as the tooth was eventually going to fall out naturally. Still, it is a good idea to have your Alex Bratic Dental Care dentist examine the child as soon as possible, to ensure that all is well. Act immediately. It is best to restore the tooth to its socket within five minutes if possible. This can feel strange and even painful, but reimplanting a tooth immediately can save the pain and trouble of complicated dental procedures later. ONLY PERMANENT TEETH should be replanted – replanting temporary teeth causes damage! Hold the tooth by the crown and never touch the root. Wash the tooth with cold water if it’s dirty. Do not clean the root; just pour cold water over it. Grasp the crown of the tooth between your thumb and your forefinger with the smooth side facing outward. Stabilise the head, place the tooth in the empty socket, and push firmly but gently. This can be painful or cause discomfort. Maintain pressure to remove all the blood accumulated in the socket. If needed, hold the tooth in place while on the way to the dentist. Control the Bleeding. After reinsertion, use tissues to control bleeding, which should slow after around 10 minutes. Try not to wiggle the reinserted tooth. After 5 Minutes. If the tooth cannot be reinserted within five minutes, it needs to be preserved as you go to the dentist’s office. An avulsed tooth is still alive, but it cannot be allowed to dry out. One solution is to hold the tooth in your mouth if you are old enough to not accidentally swallow it. Protect the tooth. Milk can preserve ligament cells in teeth for up to three hours. Saliva can be spat into a cup, or the tooth can be held in the mouth, as explained above. Water is less acceptable as it accelerates the decay of the tooth. Visit Alex Bratic Dental Care immediately! Even teeth that can immediately be reimplanted are considered an emergency. 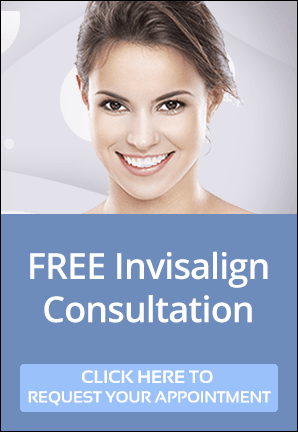 Your dentist will need to correct alignment, clean the area, minimise infection risk, and certain your tooth is securely anchored before sending you home. While tooth avulsion is frightening and can cause panic, by calmly following the steps we have outlined, you may be able to save your tooth and your smile. Reinserting an avulsed tooth in the dental office can be straightforward or intricate depending on the case. If the tooth or bone is fractured, it becomes much more complicated. The first step is flushing debris from the socket. Next, the dentist will slide the tooth back into the socket. If the reinsertion is successful, the dentist will splint the avulsed tooth on either side with a soft composite or wire material, to hold the tooth in place. The severity of the case will determine how long the splint will remain. If there is substantial damage, repair time can be up to 6 to 8 weeks. If there are no signs of infection after reinsertion, your next dental visit should be your next regularly scheduled appointment. Accidents cannot always be prevented, but you can minimise your risk by wearing a sports mouthguard. They can be purchased at pharmacies and sporting goods stores, but it is far safer to let Alex Bratic Dental Care fit you a custom-fitted guard, which is more comfortable and fits better for added protection.